With three LPs in the bank and another well on its way, The Twilight Sad appear to have reached something of a crossroads in their ardent, noisy career. True, such conclusions are regularly leapt to with fresh music imminent, however, if the Kilsyth outfit's recent activities are anything to go by it seems they too sense a change in the wind. Given they're neither going through the motions nor hitting a notable anniversary, the decision to revisit debut Fourteen Autumns and Fifteen Winters for a series of live dates was a curious exercise in nostalgia, but now that they're granting the same record a deluxe Record Store Day reissue it suggests a group bidding farewell to those elementary days. Indeed, having fulfilled childhood dreams by selling out Glasgow's Barrowlands Ballroom in 2012, the trio can justifiably purport to have "made it" as a band, but that didn't prevent them from accepting another prestigious live offer last October, this time in the markedly offbeat setting of Paisley Abbey. 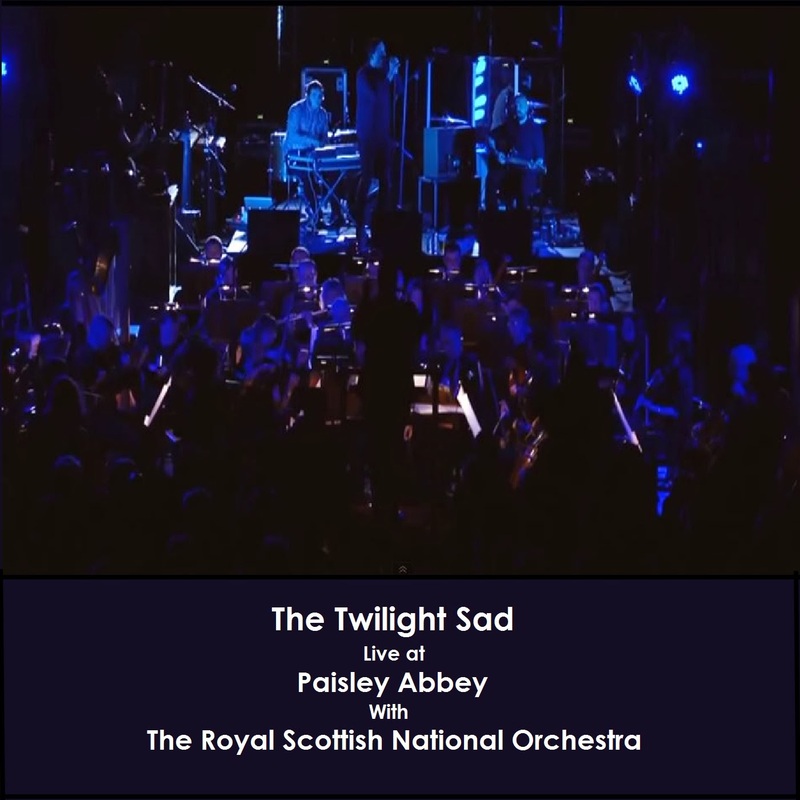 Now available as a free download, their performance was notable not only for its grand venue but also its accompaniment, with regular touring members making way for a special one-off collaboration with the Royal Scottish National Orchestra. Stepping well and truly out of their comfort zone, the 9-song set gave their most beloved works a bold, understated re-imagining, forsaking the usual avalanche of volume whilst simultaneously resisting the indulgences often bought from such privilege. Stripped to their bare bones, the songs' emotive faculties are granted a virtually free reign, expressed through pure sparsity and, of course, James Graham's soaring, bewitching brogue, whose rolled 'r's and inherent grandeur can almost be felt bouncing off the cold stone walls. Adventurous, absorbing and affecting, it's neigh on essential for fans, and if it does mark the end of an era we couldn't possibly have wished for a finer stop-gap. You can download Live at Paisley Abbey for free here.